This case was designed for the University of Arkansas. The case interior features a hanging clothes section that is coated with our black textured coating to allow easy cleaning. The hanging clothes section also features a locking trap door and a clear Lexan door. 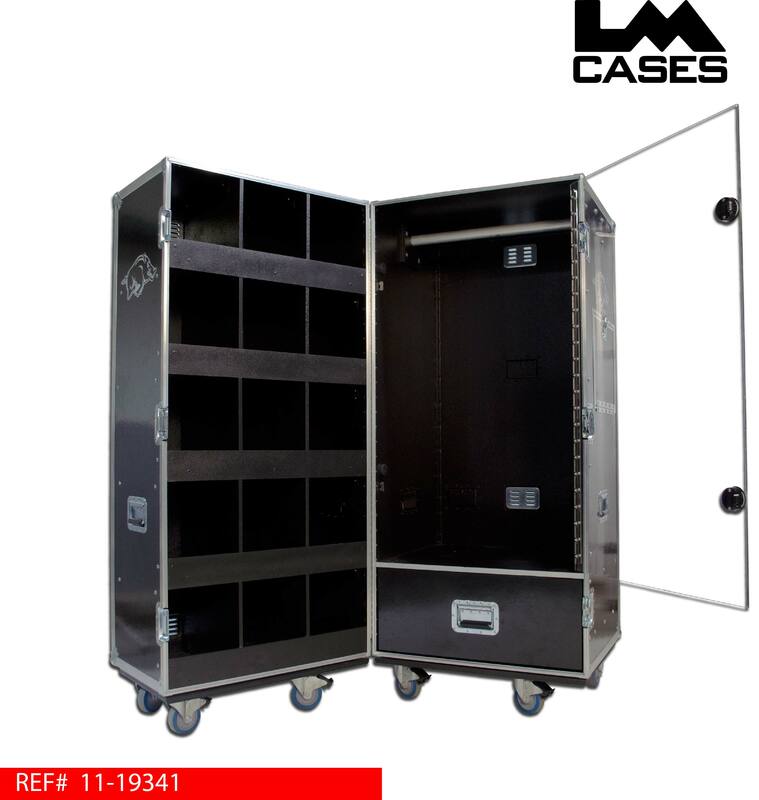 This allows team members to simply walk by the closed case and toss their dirty laundry through the trap door with out the need to keep the case open to save on floor space in cramped locker rooms. Underneath the hanging clothes section, there is a 1/2" Baltic birch drawer featuring 3 compartments and a matching black fiberglass laminated drawer face. The case interior also features 15 individual storage compartments for shoes or other gear. 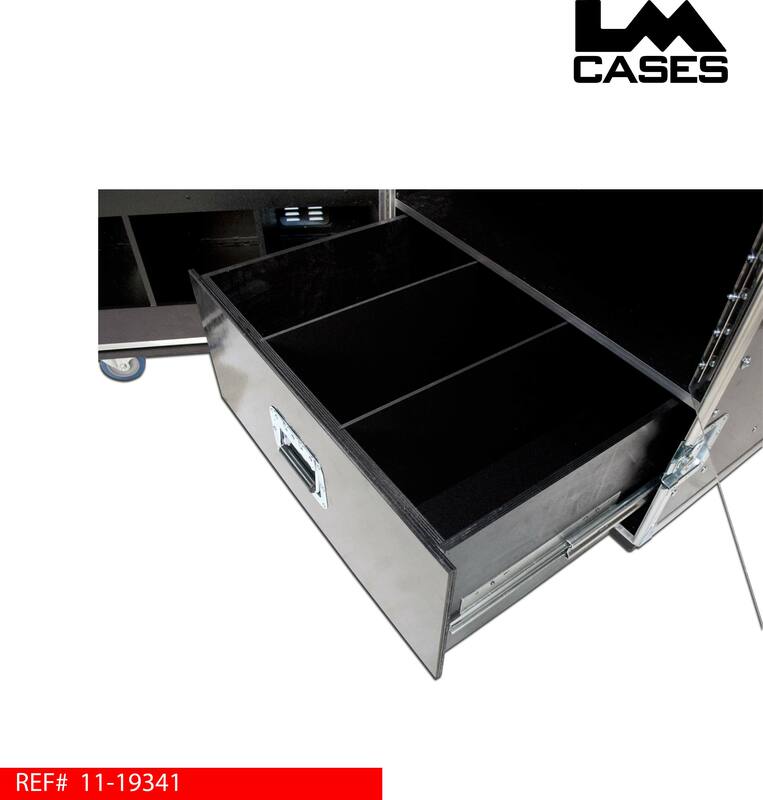 The storage compartment dividers are made out of 3/8" plastic, and the compartment is coated in black textured coating. This allows the compartments to be easily wiped out for quick cleaning. 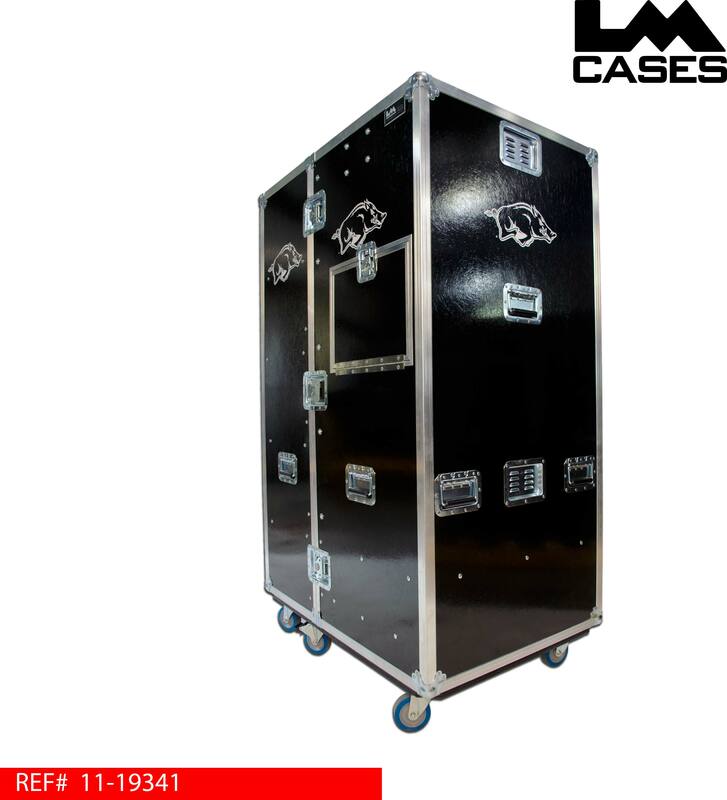 The case exterior is built out of our proprietary 3/8" composite panels laminated with black fiberglass. The case features a combination locking recessed latch, recessed vent dishes for ventilation, 4" Colson casters, and a custom silkscreen of the school's logo. For additional information, check out the YouTube video of this case: CLICK HERE. Special thanks to the University Of Arkansas!